Both Noon and Herbie have secrets. Because of this she can’t be intimate with her husband, and he sneaks out to a hot jazz singer named Ethel - who has a secret of her own. When the city proposes to build a road through their neighborhood, Noon begins a crusade to keep it from happening - and maybe save her marriage in the process. Tumble into this amazing novel and feel the love and warmth of a special block in South Philly. This is an extraordinary depiction of the true meaning of family and fellowship. 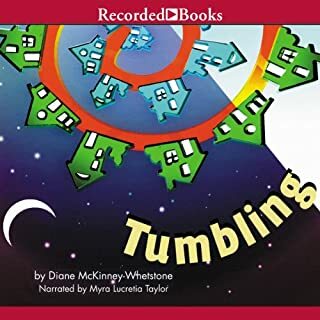 Award-winning author of the national best-seller Tumbling, Diane McKinney-Whetstone is an immensely talented author of African American fiction. It is 1965 in Philadelphia and Clarise, Finch, and their three adolescent daughters are living a financially privileged life. But when Finch’s business falls on hard times and Clarise suffers a mental breakdown, their idyllic world is shattered and their daughters are endangered. 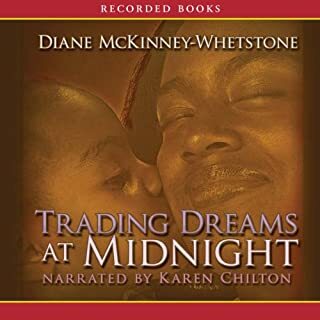 Diane McKinney-Whetstone, the award-winning and best-selling author of Tumbling, presents Trading Dreams at Midnight - - an Essence Book Club Recommended Read. Back in 1984, 15-year-old Neena's mother left and never came back. And now Neena is following in her footsteps. During the 1970s, Verdi’s relationship with street-smart Johnson leads her to heroin and the brink of destruction. Rescued by a conservative professor willing to give up everything for her, she lives a quiet, comfortable life for 20 years--until Johnson returns to re-ignite old passions. Pulled uncontrollably toward the reckless appetites of her youth, Verdi struggles to understand her desires and to decide where she wants life to take her next. 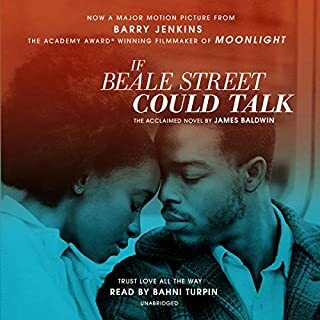 Told through the eyes of Tish, a 19-year-old girl in love with Fonny, a young sculptor who is the father of her child, Baldwin's story mixes the sweet and the sad. Tish and Fonny have pledged to get married, but Fonny is falsely accused of a terrible crime and is imprisoned. Their families set out to clear his name, and as they face an uncertain future, the young lovers experience a kaleidoscope of emotions - affection, despair, and hope. A solid marriage, a thriving business, and the esteem of their close-knit Alabama community - Joyce and Odell Watson have every reason to count their blessings. Their marriage has given well-off Joyce a chance at the family she's always wanted - and granted Odell a once-in-a-lifetime shot to escape grinding poverty. But all that respectability and status comes at a cost. Just once, Joyce and Odell want to break loose and taste life's wild side, without consequences. The Warmest December is the incredibly moving story of one Brooklyn family and the alcoholism that determined years of their lives. 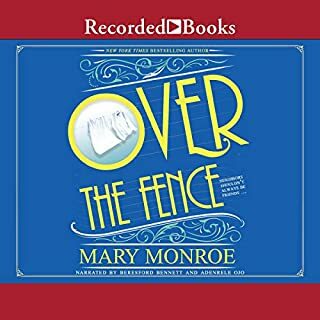 Narrated by Kenzie Lowe, a young woman reminiscent of Jamaica Kincaid's Annie John, as she visits her dying father and finds that choices she once thought beyond her control are very much hers to make. Joe King Oliver was one of the NYPD's finest investigators, until, dispatched to arrest a well-heeled car thief, he is framed for assault by his enemies within the NYPD, a charge which lands him in solitary at Rikers Island. A decade later, King is a private detective, running his agency with the help of his teenage daughter, Aja-Denise. Broken by the brutality he suffered and committed in equal measure while behind bars, his work and his daughter are the only light in his solitary life. When he receives a card in the mail from the woman who admits she was paid to frame him those years ago, King realizes that he has no choice. In 1958 Georgia, the shade of a 13-year-old black girl's skin can make the difference in her fate. Tangy Mae is the smartest of her mother's 10 children, but she is also the darkest complected. The Quinns - all different skin shades, all with unknown fathers - live with their charismatic, beautiful, and tyrannical mother, Rozelle, in poverty on the fringes of a Georgia town where Jim Crow rules. Rozelle's children live in fear of her mood swings and her violence, but they are devoted to her. Rozelle pulls her children out of school when they are 12 years old so that they can help support her by going to work. Los Angeles, 1948: Easy Rawlins is a black war veteran just fired from his job at a defense plant. 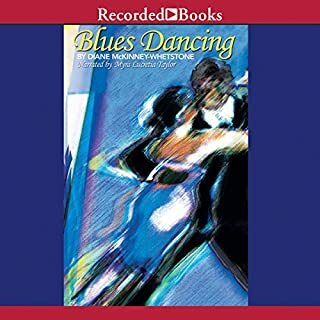 Easy is drinking in a friend's bar, wondering how he'll meet his mortgage, when a white man in a linen suit walks in, offering good money if Easy will simply locate Miss Daphne Money, a blonde beauty known to frequent black jazz clubs. Isolated on an island where two rivers meet, the Lazaretto quarantine hospital is the first stop for immigrants who wish to begin new lives in Philadelphia. The Lazaretto's black live-in staff forge a strong social community, and when one of them receives permission to get married on the island the mood is one of celebration, particularly since the white staff - save the opium-addicted doctor - are given leave for the weekend. Recipient of the Zora Neale Hurston Society Award and a national best-selling author, Bernice L. McFadden returns with her sequel to Sugar. Sugar Lacey comes back home to a past she hoped to forget. She must face many obstacles and deal with secret truths about her family. This Bitter Earth is a striking novel about strength and victory. Gayle was the beauty who believed that a man could make her life complete. Patricia was the intellectual who thought that rising to the top of her career would make her happy. And then there is Marcus Carter, who has been linked to both Gayle and Pat since the tragedy that occurred when they were all children. Can either one save him from himself? Can friends survive a love that comes between them? Each of them gets what she wants, but no one counts on the price they have to pay. Sherry has struggled all her life to understand who she is, where she comes from, and, most importantly, why her mother slapped her cheek one summer afternoon. The incident has haunted Sherry, and it causes her to dig into her family's past. Like many family histories, it is fractured and reluctant to reveal its secrets; but Sherry remains determined. In just a few days' time, her extended family will gather for a reunion, and Sherry sets off across the country with her mother, Dumpling, to join them. 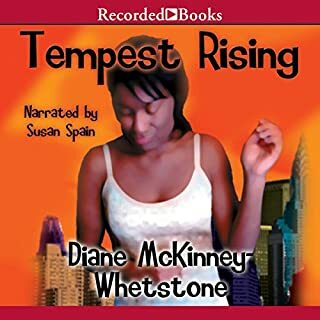 Best-selling author Diane McKinney-Whetstone has won such prizes as the Zora Neale Hurston Society award for creative contribution to literature. 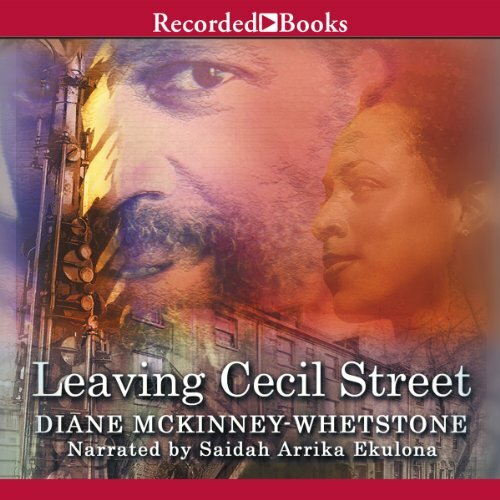 Set in 1969, Leaving Cecil Street takes place in a proud neighborhood of West Philadelphia. The block has just thrown a summertime street party. Joe and Louise have been married for awhile, and Joe loves his wife. But sometimes he wonders what might have been if he had pursued some of those dreams he left behind.